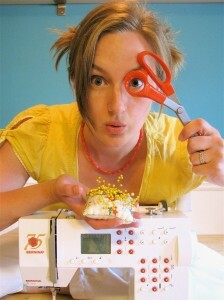 Our guest judge this week is the most fabulous Rae of Made by Rae who you all know and love. She is here with us this week to celebrate OUTERWEAR week....which we are so excited about! Hello everyone! I'm Rae from Made By Rae and I'm so excited to be the guest judge for Project Run and Play for Outerwear Week! I LOVE making outerwear for kids. Coats and jackets and hats get worn every single day, especially this time of year, so it's fun and rewarding to see all of my hard work paying off with repeated wear. I've made lots of coats and jackets in the past (more on that in a moment), but I really wanted to make something new to show you for this post, so in true Project-Run-and-Play-style I whipped up this little purple poncho and headband in just a few hours the other night. Just doing this little project made me really appreciate the contestants and how hard it is to do the full looks that they're doing every week (and also really glad that it's not me, haha)!!! Ponchos are so easy and quick to make. It's great to throw on over her clothes when we need to get somewhere in a hurry. I'm thinking I might make this available as a free pattern on my blog so let me know what you think! 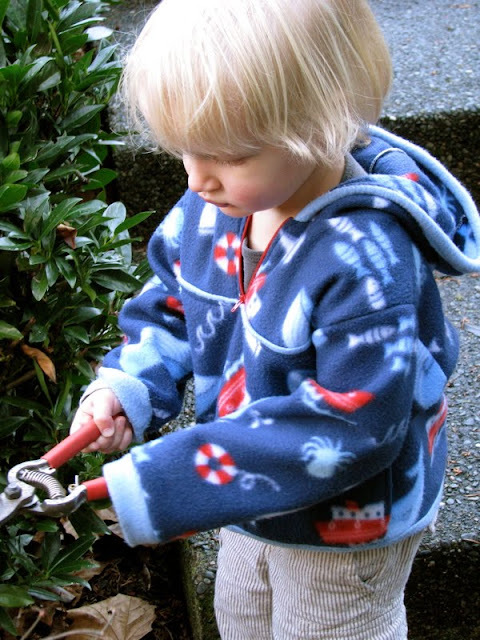 This little nautical fleece coat got a ton of use as my son's favorite for two years in a row! Now that he's outgrown it my daughter wears it too. 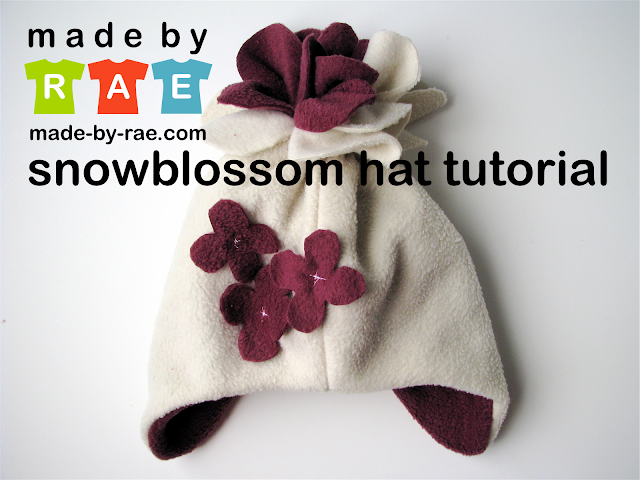 It is available as a free tutorial on my blog and can be made for boys or girls! With a crochet hat to match! Thanks so much for having me over as a guest judge -- I can't wait to see this week's entries! that purple poncho is fabulous!!!! Yes, please put the pattern up on your blog for the poncho! It's cute! Yes, I'd also love to see how to make the poncho! I love all the other jackets you made too. I love the fleece hat and I'd love to see a how-to on the poncho. I love that poncho! The purple is awesome! The mornings are pretty chilly here, but the afternoons are pretty warm, so it would be perfect. I really love C's fleece jacket too! The poncho is great! I really like the slouchy turtle neck to keep little necks warm. A free pattern would be great. 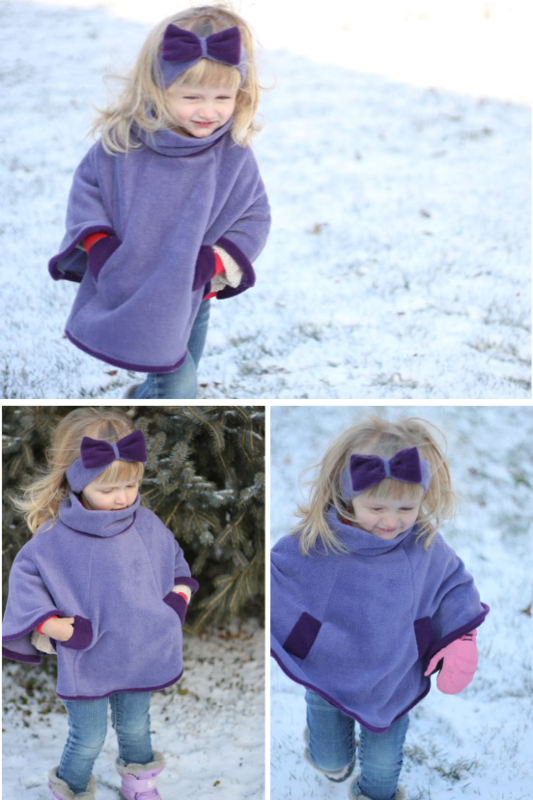 I've got 4 little ones and two of them are girls and a fleece poncho would be a wonderful go to winter accessory. Would love that poncho pattern, showed it to my daughter and she wants one! Very cute Rae! Lily would love one! Hint hint! 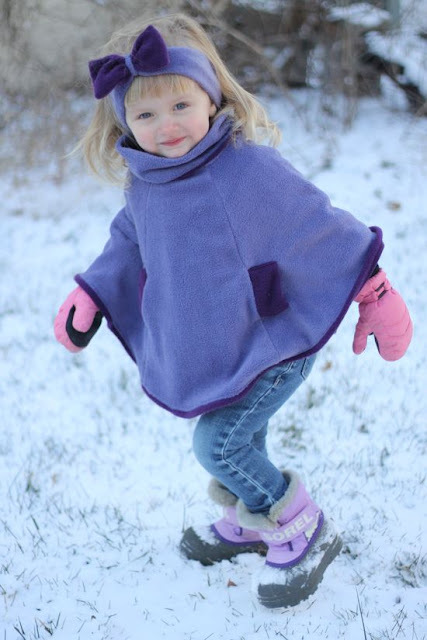 loving the purple poncho, Rae! 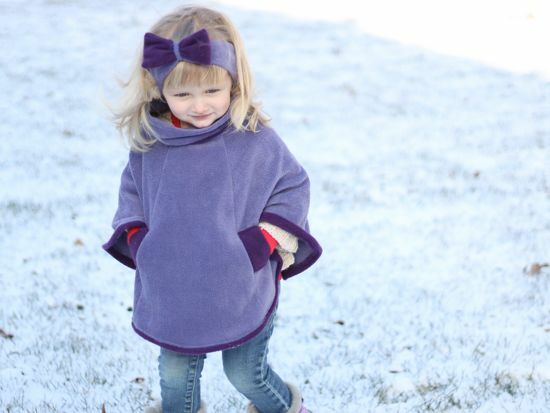 The poncho is amazing... we had a store bought one, which my niece wore all the time until it got too small, but we can't find a great substitute, but yours would be... so pleeeease put the pattern on your blog..
Love the bow and the impeccable sewing. Love your blog and patterns. I have the Perriot and have made it several times for each of my girls. 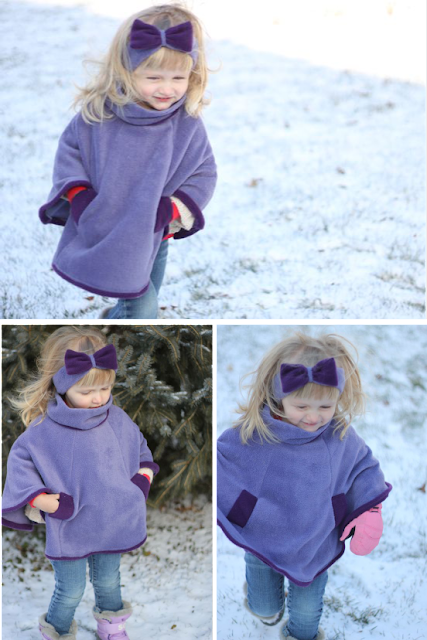 I would love to see the poncho on your site and I know my girls would love to have one. Love the poncho! A pattern would be really great! These are all wonderful! I would adore a poncho, that would be a wonderful tutorial. My little girl would adore it! Love the poncho, so cute. Yes, please post the tutorial! 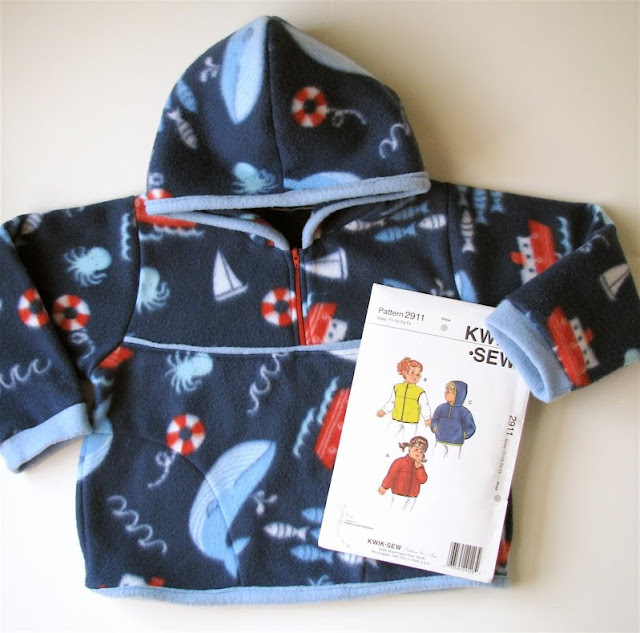 Adorable children and adorable warm, fuzzy, fleece cozies! I would love the poncho and cute headband as a tutorial! Yes please, do post on your blog! I love the poncho - a tutorial would be awesome!! LOVE LOVE LOVE IT! I could so see my daughter in this! Please do a tutorial! Please please please!